FJB Hotel’s donates £3,397 to Julia’s House to fund the hospice’s bathroom refurbishment with a top spec washbasin. 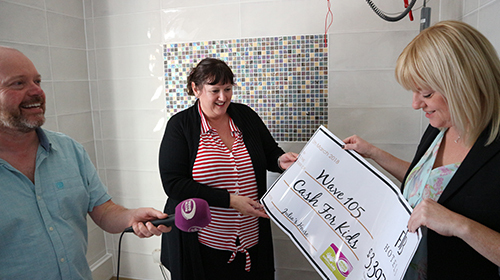 With the help of all our staff and generous guests, we’ve helped make a difference to the lives of many young people in our local area through Cash For Kids, supported by local radio station Wave 105. In 2017 we raised £20,071 and here’s one of the charities we’ve helped in 2018. 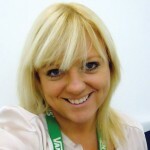 Julia’s House is a children’s hospice charity dedicated to caring for children and young people with life-shortening and life-threatening conditions. Their nurses and carers provide care for children in their own homes and also in the bright and welcoming hospice – the only children’s hospice based in Dorset. Julia’s House provides end-of-life care when the time comes but their main service is regular respite care for children throughout their lives. They care for children from birth through to 18 years old. At the moment, there are 85 Dorset children accessing their services, and they are supporting 16 bereaved families in Dorset. We, alongside our fantastic guests, gave the hospice a grant for £3,397 to complete their bathroom refurbishment with a top spec washbasin. 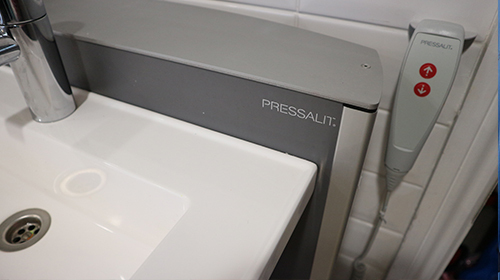 This washbasin is height-adjustable, so can be easily raised or lowered to accommodate children of different ages and heights, and those with wheelchairs. 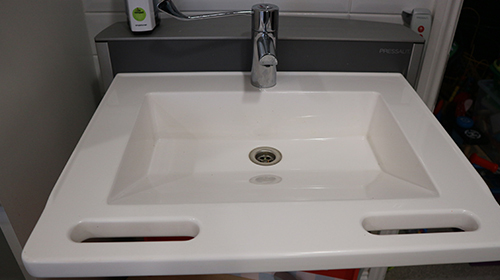 The basin has inbuilt handles, which means children will be able to pull themselves up and steady themselves; and the long-lever taps mean they will easily be able to turn the taps on and off. These children are heavily reliant on parents or carers helping them in the bathroom, so this new equipment will give children the independence they crave and will be unable to experience outside of the hospice. A wonderful surprise awaited Julia’s House when FJB Hotels and Wave 105 visited the team to discuss their funding proposals however unknown to them FJB Hotels had already performed a significant analysis on the charity and decided this was indeed a fantastic cause. A cheque for a staggering £3,397 was presented to Julia’s House – much to their delight! By opting to add £1 to your room rate upon check out can really make a difference to a child’s life.